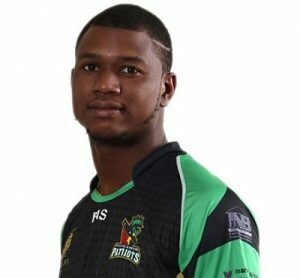 Evin Lewis is a Trinidadian cricketer who has played internationally for the West Indies. He plays as a left-handed opening batsman. An attacking opening batsman, Evin Lewis was a part of the West Indies Under-19 side in New Zealand in 2010. He was the star of T&T’s World T20 League campaign in 2013, smashing 211 runs at a healthy average of 42.20 and a strike rate of 141.61. Lewis made his first-class debut for the Trinidad and Tobago national team in March 2012. Siblings: He has an older brother. *He plays as a left-handed opening batsman. *He became the first batsman to score two T20I centuries against the same country (India). *He holds the record of highest score by a West Indies batsman in a T20I, surpassing Chris Gayle’s score of 117.